ECOVACS ROBOTICS is changing home robotics by moving from floors to windows with WINBOT 950 – The Window Cleaning Robot. Innovation and advanced technology come standard, to quickly deliver spotless windows with the touch of a button. The high-tech suction fan and 4-stage cleaning system quietly cleans all sorts of glass surfaces. The proprietary SMART DRIVE navigation system, sophisticated operating system and multiple sensors help WINBOT 950 detect obstacles for fuss-free operation. No more climbing dangerous ladders to clean that tall or hard to reach window. Add the provided WINBOT extension cord to extend the power cord's reach to 5m / 16ft. It's finally time to trade in your rag, bucket and squeegee and let WINBOT do the work for you. You have better things to do! Trade in your old cleaning tools and let a robot clean your windows. The unique 4-stage cleaning system features a large 4-side microfiber cleaning cloth and a wrap-around squeegee for maximum coverage and efficiency. Say YES to powerful suction and NO to noisy cleaning! The W950 window cleaning robot is the quietest robot of the WINBOT series that cleans your windows so quietly you can hear yourself. 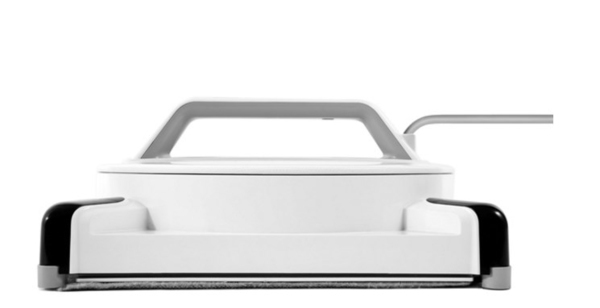 WINBOT 950 adopts proprietary SMART DRIVE system, which allows the handle of WINBOT 950 turns right for 90 degrees while the cleaning pad doesn't rotate. Thus, WINBOT 950 can move freely on the window, choosing the most efficient cleaning path. Cleaning efficiency and coverage have been highly improved! 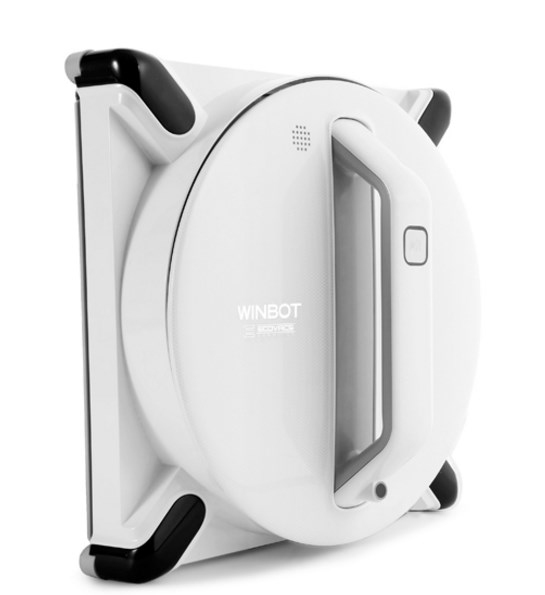 WINBOT 950 automatically cleans framed or frameless windows, sliding glass doors, shower stalls, glass railings and more. Inside or outside. 4-side wrap-around bumper to identify the obstacle and window frame, edge detection sensors enable WINBOT to work on the frame less window. WINBOT 950 can perform its cleaning magic on different types of glass. From frosted windows to colored and tinted windows, and even thermopane, WINBOT 950 can make every glass window sparkling shine! The remote control allows you to conveniently start, pause, and manage the direction of your WINBOT 950 from a distance! The power supply went out suddenly? Don't worry! 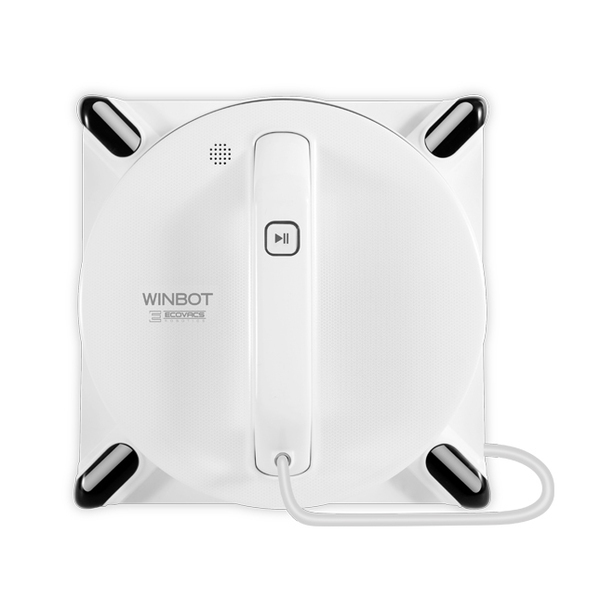 WINBOT 950 has an on-board back-up Power system that allows it to stay on the window for at least 15 minutes after a power outage. Ain't no window high enough that WINBOT 950 can't reach! By adding the extension cord, the power cord can reach up to 5 m/16 ft long, and with the safety pod and tether, cleaning high rise windows is safer than ever! Simply attach the safety tether.